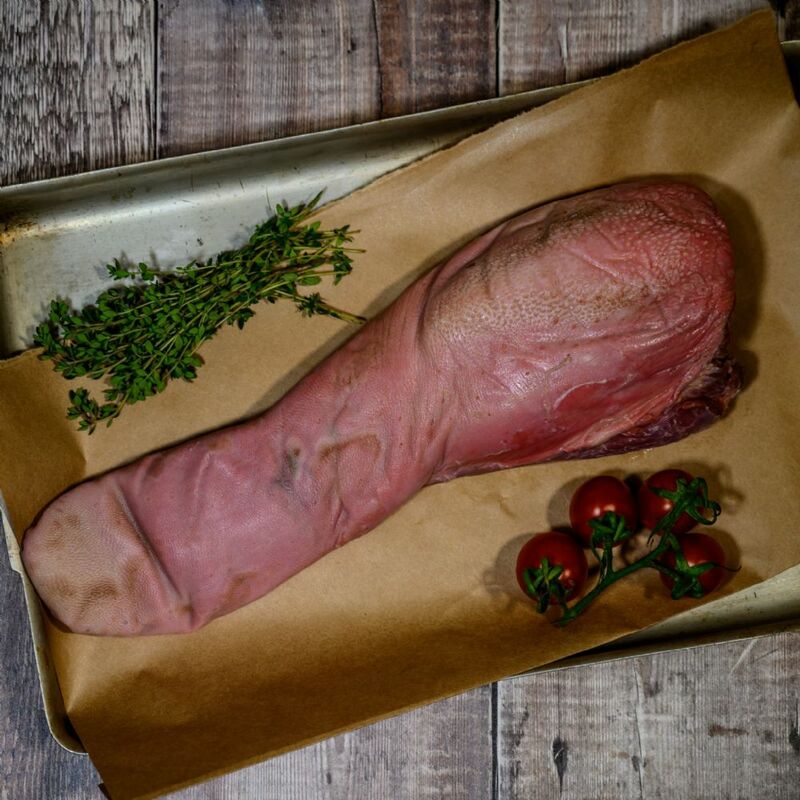 An unsalted 750g organic beef tongue from our rare-breed organic cattle. Certified organic and grass fed, this beef cut is another beauty for the slow cooker. This beef tongue is an unusual and inexpensive cut, yet so flavorful, sure not to disappoint those around the dinner table that’s for sure. Why not try on fresh sandwiches or even salads? The proud organic farming methods down at Gazegill Farm have been in the Robinson family for over 500 years now and the feedback we receive time and time again shows how our sensitive farming methods have an impact on our meat, from this wonderful ox tongue, to our organic beef roasting joints. Our protected biological heritage sites (wildflower meadows) are an abundance of flowers, grasses and plants that all play key roles in our immediate eco system. Happy bugs and micro organisms give us a healthy and living soil and form the basis for a food chain which supports a wealth of small mammals and birds, rare and otherwise. By farming these meadows in a sensitive manner means we only cut them for hay once everything has gone to seed and all the birds have flown their ground nests. Not only is this better for nature but due to the varied and numerous grass and herb types the hay is a more rounded winter feed for our shorthorn cows and rare breed sheep supplying them essential nutrients and medicinal herbs as well as being a natural diet for ruminants.